Many CRM software companies in the USA have been registering growth and profit increases, not just in the country but worldwide. What’s more is that spending on CRM software is seen to further grow. Now, there is the matter of what these companies do that make them successful in the first place. Most software CRM companies are mostly concerned with the quality and performance of their products, while others focus on niche markets. However, there are some other factors at play here. In this article, you will understand what make a CRM vendor successful, which is important to know to gauge its reliability. We will also seek to come up with a list of successful CRM software companies in USA. Product features, functionalities and pricing will be discussed in detail. What are the successful CRM companies in the USA? What Makes A CRM Company Successful? Obviously, market share is a major consideration in determining the success of a CRM company. Most CRM vendors are ranked based on market share and revenues. In this aspect, HubSpot continues to dominate the US market, followed by Freshsales and Salesforce CRM. Their market shares, however, did not come on a silver platter. Developments in both the companies and their products have also contributed to their rankings. More innovations and features are bound to result in more sales for these companies as customers are seen to go for feature-rich CRM tools. And then there is also the matter of online popularity or Google search rankings. Some of the most popular CRM companies take time to come up with informative blogs, which aid them immensely in their Google rankings. The way things are going, content may very well define the success of a CRM vendor. This is further reinforced by user reviews generated by vendor websites and SaaS platforms. Reviews impact the popularity of a CRM tool, increasing customer satisfaction ratings and therefore, marketability. And then there is the buyer side, which is also a major contributor to vendor performance. Customers have been found to go for CRM apps that have new capabilities and features. These new breed of CRM platforms are often expected to replace legacy systems that have been in place for sometime. These and a bunch of other technology trends are shaping CRM in ways never before thought possible. This is why such customer preferences are seen to persist and even impact market share in the years to come. Although such things are undeniably important to any software vendor’s market position, market share still stands out as the best measure of how a CRM company is doing. Unlike Google search rankings and user reviews, market share provides us with the best evidence there are–user stats and actual earnings. And this is precisely the reason why one should go for successful CRM companies as they are proven to offer quality solutions that are of great benefit to any enterprise. CRM companies abound in the United States, with each one vying for market position. Now, these companies are not necessarily homegrown businesses, they may also come in the form of foreign entities who have established a considerable presence in the country. By the time you finish reading this, you ought to be able to decide which provider is right for you. Since CRM isn’t a standalone tool, you may opt to read our guide on marketing automation software, too. It is a treasure chest of automation tools for campaigns and email marketing that feed leads to your CRM for nurturing. As for our list of successful CRM companies in the USA, here it is. First on our list of successful CRM software companies in the USA, leading application HubSpot CRM is a popular tool from app developer HubSpot. The platform’s popularity has been attributed to the fact that it comes absolutely for free. This highly-flexible tool can be used as soon as installation is finished, without requiring users to make alterations in their workflows. It is highly-suitable both for small and large businesses who want to try using a CRM. The system is easy-to-use, offering all the needed basic functionalities minus the complexities of most solutions. The vendor offers a comprehensive free trial to get you up to speed with the features. You can sign up for the HubSpot CRM free app here. And for other HubSpot CRM details, the software is capable of organizing customer details, allowing users to come up with both contact and company profiles. Deals are assigned and tracked by the system while agent performance are kept under control. All team members, meanwhile, can track all activities through the solution. What’s great about the system is the fact that it has numerous integrations, which include Microsoft Dynamics, Salesforce, Shopify and Zapier, among many others. A powerful product from app developer Freshworks, CRM tool Freshsales is designed for today’s sales teams, helping them track contacts while putting to bed concerns and inquiries. The software was developed to address the vendor’s own need to handle all aspects of the sales process and get allow users to accomplish tasks using a single program. Freshsales is essentially a single contact management solution that helps users handle leads by the thousands by offering a very intuitive interface. You can use all the features for free for a period of time to see if the software matches your needs. Simply sign up for a Freshsales free trial here. Likewise, it is designed to function as a dynamic analytic contributor that can offer valuable sales insights and tips on how to leverage them. Setup is a breeze as the system does not come with bulky and complicated procedures. It has popular integrations while all transactions are done in the cloud. Freshsales features include email tracking, direct calls, event tracking, sales management, analytics and reporting and lead management. Pricing: Freshsales is available in a variety of pricing plans, starting at $12/user per month (billed annually). For those who need only its basic features, a free plan is also in the offing. Equally popular CRM solution Salesforce CRM, which was developed as part of Salesforce’ sales and marketing systems. The software allows users to keep track of all client data and interactions from a single location, enabling them to follow more leads. It has all the apps you need to follow such leads until such time that they are ripe for conversion. The vendor has an appealing free trial where you can tinker with the features at no cost. You can sign up for the Salesforce CRM free trial here. Sales teams’ productivity gets that much-needed boost using the software, whether they are out in the field, in cyberspace or in the office. The system comes with Android and iOS apps, along with real-time data, custom reports and a Feed First feature that enables one to view the most critical information. More functions can be added to the platform via the AppExchange Apps. It integrates seamlessly with third-party applications that include TeamSupport, Desk.com, FinancialForce ERP, Zuora, Ambassador and Zendesk, among many others. This is but a brief Salesforce overview for an application as powerful as it is. Pricing: Salesforce CRM can be purchased in different pricing models, starting at $25/user per month (billed annually). CRM system Pipedrive is a powerful tool that helps businesses organize their leads so that they get to have an overview of their sales, allowing them to focus on deals that need to be prioritized. The solution is user-friendly, enabling sales teams to immediately use it immediately after setup. Setting up the tool is quite easy, all you need is to register and account and you’re good to go. But what’s really interesting about the app is that it can manage a company’s sales pipeline. It can help teams negotiate deals or maintain lead relationships and can be customized to promote one’s brand. You can check the solution closely when you sign up for a Pipedrive free trial here. If you choose to, entire modules can be turned on and off without service quality getting affected at all. It is mobile optimized to cater to more users and can seamlessly integrate with Google Contacts, Google Calendar and Google Apps, among many others. There a lot more Pipedrive features that are worth looking into. Pricing: Pipedrive can be purchased in a variety of pricing models, starting at $15/user per month. Web-based CRM software Zoho CRM is designed to help users grow their businesses by attracting, retaining and satisfying customers. Although designed to manage leads and contacts, the system can also handle purchase control and sales pipelines. All these tools are readily accessible from an easy-to-use interface. If you want to investigate the features closely you can easily do so when you sign up for a Zoho CRM free trial here. The system dashboard can be customized to look more business-specific. Zoho works for any business type and size, automating business activities, engaging customers and tracking sales on a diverse number of platforms. It is mobile optimized, allowing users to take the CRM wherever and whenever they want, so that they can receive updates in real time. To extend the tool’s functionalities, users can integrate it with third-party applications, including Microsoft Outlook, Quickbooks, MailChimp, ConstantConnect, Google Apps, CloudWork, OneSaas and major Zoho productivity products. A more thorough Zoho CRM overview can be found here. Pricing: Zoho CRM is being marketed in different pricing plans, starting at $12/user per month (billed annually). For those who want to try its functionalities first, a free trial is also available. Agile CRM platform bpm’online CRM is designed to cater to midsize and large business organization, helping them boost marketing, sales, service and operations. The system can help in aligning data, teams and processes so that they can connect to digital native customers and adapt to them rapidly. The tools that come with the product can be sold as a bundle or deployed as standalone applications. An appealing test drive of all software features is available to you when you sign up for a bpm’online CRM free trial here. bpm’online CRM has the ability to improve the customer journey and speed up revenue generation. The same goes for sales, which is likewise automated, ranging from lead management to repeat transactions. It also comes with an intelligent service management tool that is designed to speed up service delivery, resulting in better customer satisfaction. If you want to know more about the product, more bpm’online CRM details can be found here. Pricing: bpm’online sales can be purchased in different pricing models starting at $25/user per month. CRM and B2B leads and sales management platform amoCRM is built to help small sales teams close more deals, thereby, boosting revenue. It is designed to make leads out of first time contacts and eventually convert them into paying customers. The system maintains a centralized repository, which helps managers make data-driven decisions. You can use all the features for free for a period of time to see if the software matches your needs. Simply sign up for a amoCRM free trial here. Similarly, it monitors sales performance to track progress and maximize sales efforts. Another one of amoCRM features is the system’s automated digital sales pipelines, which streamlines critical processes like sales analytics, lead scoring and nurturing, performance tracking and email integration. Contacts and deals can be organized by the system using tags and custom field creation. Setup is a breeze as the software is cloud-based and it can be accessed via any browser. Pricing: amoCRM is available in three pricing plans, starting at $15/user per month. If you want to take it for a spin first, a free trial is also available. CRM solution OnContact CRM is the flagship customer relationship product of applications provider WorkWise. It is a total CRM solution, offering functionalities such as marketing automation, sales management, customer service and a contact center–all from a single dashboard. The vendor is seen to have reinvented CRM in coming up with the app, as it offers users numerous configuration hacks to make the platform business specific. It also supports a variety of mobile operating systems, making it ideal for remote sales teams. The vendor has an appealing free trial where you can tinker with the features at no cost. You can sign up for the OnContact CRM free trial here. However, what sets the tool apart from the competition is its ease-of-use, rendering the system highly-suitable even for novice users. What’s even better is that the app syncs users’ accounting data, while having a streamlined connection to QuickBooks, resulting in quick access to financial data. The software also has integrations with Microsoft Outlook, Workwise ERP and G Suite products. Now this is but a simple OnContact CRM overview, compared to what the tool has to offer your business. Pricing: OnContact CRM can be purchased in two distinct pricing plans, starting at $65/user per month. Cutting edge CRM platform InfoFlo is known for being user-friendly and inexpensive. It is a total CRM tool that allows users to manage contacts and relationships all from a single console. Such is accomplished by tracking, managing and automatically linking business contacts’ key data. All that is needed to retrieve information is but a single click, while a view of customer relationships is provided. You can check the solution closely when you sign up for a InfoFlo free trial here. Moreover, the system boasts of some of the most robust integrations around, which include email, contact, relationship, document and sales and task management solutions. It also runs seamlessly with QuickBooks, Google Sync and Outlook. Instant connection with a contact or company can be quickly established and information shared automatically. Leads can be tracked and more potential opportunities identified. Security is quite formidable, as the platform uses 512 bit encryption. Whole InfoFlo databases can be backed up and restored as deemed necessary.  Now, these are but some InfoFlo pros and cons as it has a lot more to offer. Pricing: InfoFlo is available for a one-time payment of $99. Total customer service and business management solution vCita is designed to cater to those in the service industries, including SMBs, accountants, lawyers, consultants, educators, photographers, fitness trainers and coaches, among a host of others. As for vCita features, the software is capable of handling CRM, booking, marketing, client communication, appointment and scheduling and online payment, among many other processes. The software is highly-recommended for sole proprietors and small teams. If you want to know more about the features you can easily sign up for a vCita free trial here. Organizing your processes begins with putting your schedules and appointments in order, which the system does by using its online calendar and scheduling tool. Meanwhile, all CRM activities and marketing campaigns are likewise managed by the system, with leads handled and stored in a central location. Marketing can get a boost as the app can create landing pages and dynamic widgets that can be placed on your websites. Effective email campaigns can also be produced using the email marketing tool that comes with the software. Pricing: vCita is available in three distinct pricing models, starting at $29/user per month. Popular CRM tool RevampCRM is a sales and marketing solution that is targeted at small businesses and online sellers, helping them in reporting automation and streamlining workflows. Using the tool, leads can be segmented, workflows can be automated and email campaigns conducted. Numerous tasks can be automated by the system, including follow-up emails, reminders, task creation and lead scoring. An appealing test drive of all software features is available to you when you sign up for a RevampCRM free trial here. As for more robust RevampCRM features, a built-in invoicing and ticketing system is also present and can be integrated with third-party applications. Leads can be nurtured using messages with RevampCRM’s sales and marketing engine. Its pre-fabricated workflows and campaigns are bound to give any company a marketing advantage. Visual pipelines and reports, on the other hand, can help users negotiate and close more deals than they ever had. Pricing: You can avail of RevampCRM in three pricing models, starting at $7/user per month. Leading collaboration and communication application Monday.com CRM syncs all data in a central location, allowing team members and sales agents to make sound decisions. The CRM is designed to easily track prospects and clients by managing the sales pipeline from lead to post-project. All relevant data and communication are stored in a single location, which can be accessed by relevant users. You can use all the features for free for a period of time to see if the software matches your needs. Simply sign up for a Monday.om CRM free trial here. What’s even better is that the system accelerates the sales process, which can be readily viewed at all times. Account management can be streamlined, allowing users to work the way they want to. Customer interactions can be managed with ease via the app’s easy-to-use and visual interface, while customer retention is improved through faster on-time communication. These are but some Monday.com benefits as the app has more features than could be mentioned here. Pricing: Monday.com CRM can be purchased in different pricing plans, starting at $25/month (billed annually). For those who want to try it out first, a free trial is also available. Feature-laden and comprehensive tool eWay-CRM is designed for use by Outlook users in the retail trade, helping them to improve their grip on customers and convert the simplest of information into actionable intelligence. The tool is capable of handling a vast number of marketing and sales processes that could only result in increased sales and smarter decisions. All traditional reports are supported by the system, making it an ideal tool for tracking statistics and conducting analyses. This results in users being able to come up with custom reports. You can check the solution closely when you sign up for a eWay-CRM free trial here. As for other eWay-CRM details, the solution is highly-customizable, allowing users to work in accordance to their preferences. This intuitive product sports a friendly interface that makes use of a drag-and-drag functionality, allowing for ease-of-use even for novice users. Whatever aspect of your CRM you need improving, the tool has got you covered, as it meets all conventional customer management needs, marketing arrangements and sales pipeline activities. Pricing: eWay-CRM can be purchased in two pricing models, starting at $28/user per month. If you need only its basic features, a free version is also available. Built specifically for advertising firms, CRM platform item8 is a powerful tool that has the ability to handle advertisers and affiliates’ workflows, including contracts, documents and legal entities. Its numerous features are designed to boost businesses’ management of their customer relationships. Having total control over both CRM and billing processes from a singular dashboard makes the solution especially useful to businesses. You can check the solution closely when you sign up for a item8 free trial here. As for some of the more powerful item8 features, billing capabilities can generate invoices and postpaid bills, which can be edited when necessary. Data synchronization is also easy with the solution’s integration with HasOffers, allowing for such in a two-way stream. It is highly-customizable, providing users with total control over their tasks, system currencies, documents, and countries. In case you need to review something, the platform’s record of logs, action history and comments can be accessed anytime. Pricing: item8 comes in a variety of enterprise pricing plans, starting at $230/month. Last but not least on our list of CRM software companies in the USA, CRM solution Really Simple Systems is a mixture of sales, marketing and support online CRM rolled into a single platform. To provide you with a Really Simple Systems CRM overview, This easy-to-use solution can be immediately deployed and used and is scalable enough to cater to hundreds of users. As could be expected, its cloud deployment enables users to access their data from virtually anywhere there is an Internet connection. It basically allows sales teams to manage all customers, prospects, contacts, tasks, sales opportunities and marketing campaigns with the use of a single tool. It has an email marketing tool that can be used to do follow-ups, come up with marketing campaigns and send emails and newsletters directly from the platform. Using the system is a breeze, requiring minimal staff training. You can check the solution closely when you sign up for a Really Simple Systems free trial here. Pricing: Really Simple Systems CRM can be purchased in several pricing modules, starting at $14/user per month. If you need only basic functionalities, a free version is also available. 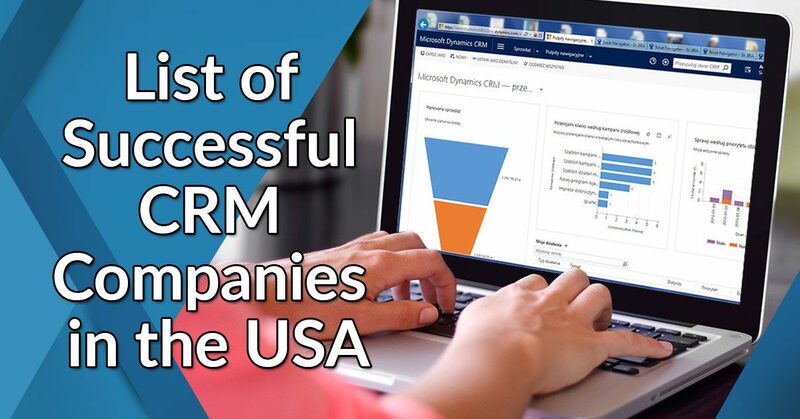 So there you have it, our list of successful CRM software companies in the USA. You may now be able to choose the best tool for you. But if you are a small business owner and are looking for something less bulky, read our article on the top 5 CRM software for small business. It just might have what you really need.